This was what I had for dinner, suckers. Oh, and we also had some ribs, duck, and Toblerone ice cream. 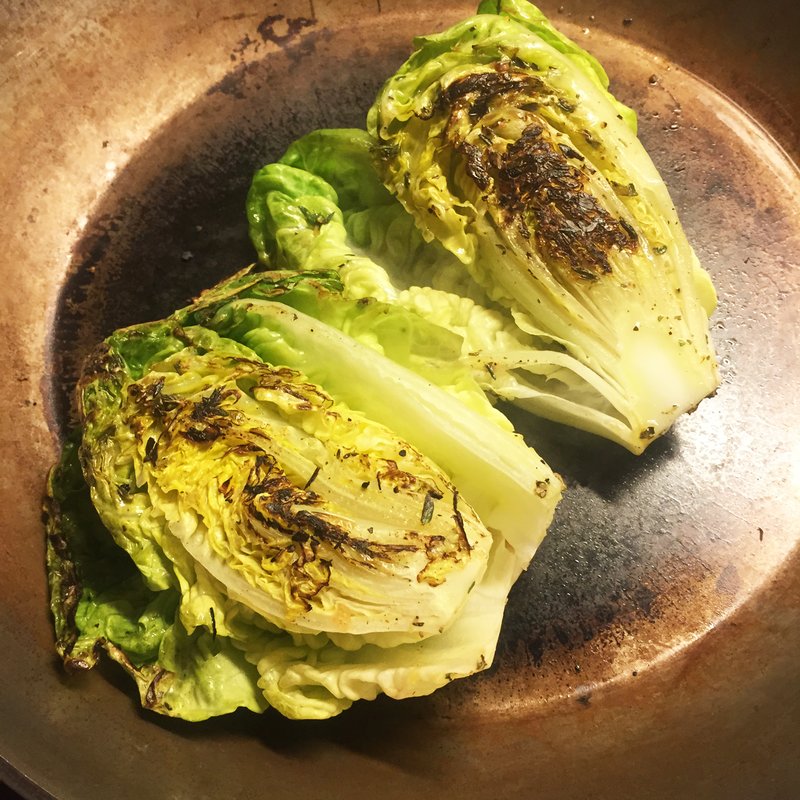 Before grilling, the romaine is first brushed with a simple vinaigrette that is indistinguishable from Greek salad dressing: red wine vinegar, olive oil, herbs like thyme and oregano, salt, pepper. Except I don’t have a grill, so I had to improvise. I feel like my whole cooking life has been building up to this meal, since I took ideas and techniques from a variety of past cooking experiences. 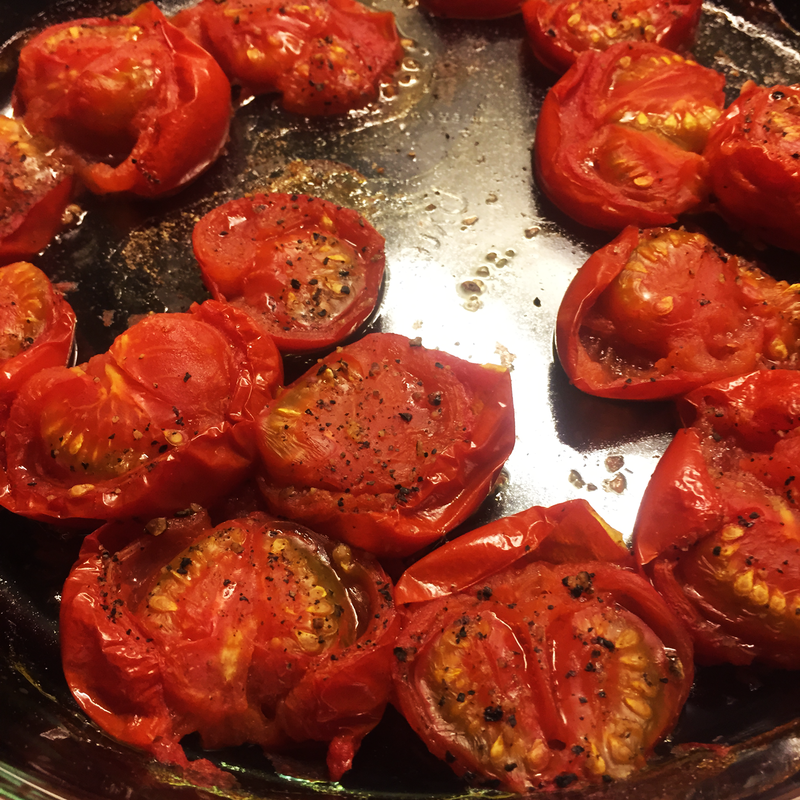 I roasted cut cherry tomatoes in the oven with just salt and pepper, on high, for 20 minutes, as described in the recipe for cauliflower gnocchi with tomatoes and rapini that I made last Saturday. They ended up falling apart in the “salad”, acting more like a sauce, which was also good. 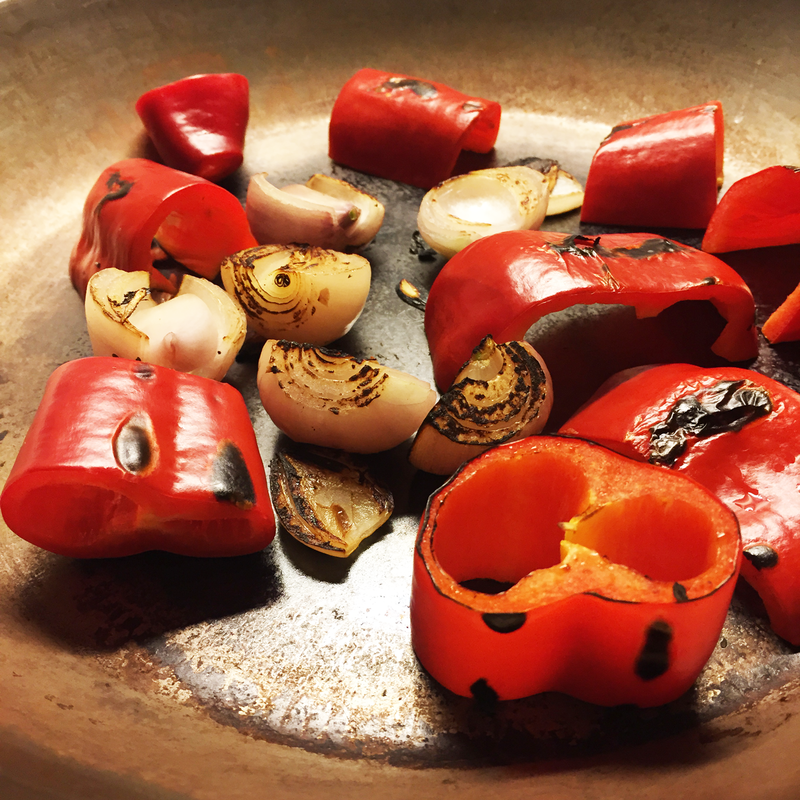 I dry-seared some shallots and red peppers, a technique I learned from making Puebla Chicken and Potato Stew. I later tossed them in more of the same dressing as I used on the lettuce. I pitted some Kalamata olives, and chopped up some feta in little cubes. I go easy on the feta since I often find it overwhelming salty. I roughly chopped the seared lettuce, and put it into two bowls, topped that with the now soft tomatoes, added the seasoned shallots and red peppers, and finished with olives and feta. Just before I put the tomatoes in the oven, I started boiling some new potatoes in some super salty water, so I could make wrinkled potatoes. I prepared the potatoes this way since it seemed a good paring for the mayonnaise we had leftover from our lunch; we made Rollmops-Brötchen with homemade mayo, but that is a different story. I squirted a bunch of Sriracha in the mayo for some spicy punch which was a brilliant idea. I had been reluctant to make these potatoes before since Fronx always says no to potatoes when I suggest them, but these were a hit. He suggested I make them for guests, which is his greatest form of food-related compliment. WIN.